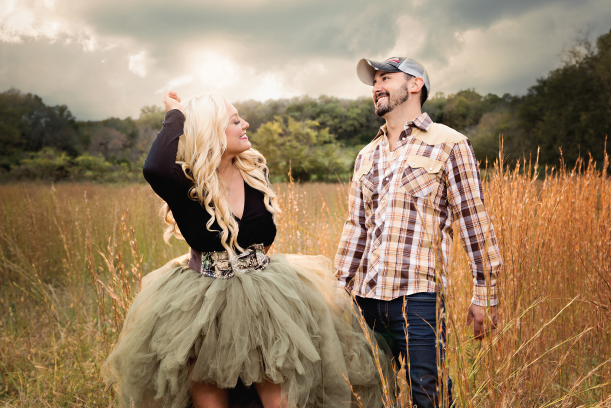 In 2013, they released their debut EP “Country Music” under the band name Kate Hasting Band, co-produced by award-winning engineer and producer Chad Carlson (Taylor Swift, Trisha Yearwood, Chase Rice) and legendary guitarist Rob McNelley (Kenny Chesney, Carrie Underwood, Jake Owen). In 2015, the band released singles Just Friends, Country Music (reprise) and Behind the Bleachers, all produced by Tyler Smyth (Dangerkids). The video for Behind the Bleachers earned director Nishan Gilmet, an Emmy nomination, and was quickly picked up by Great American Country (GAC), The Country Network (formerly ZUUS Country), and several other regional music outlets nationwide. In October 2017, Hasting and Beale released EP Can’t Get Enough, highlighting the release with a performance at Nashville’s City Winery alongside fellow artist Collin Raye to benefit partner organization Firefighters Behavioral Health Alliance. As they continue to evolve, both apart and as a whole, the focus of the Hasting & Co. remains finding a sound true to their roots – regardless of where the journey takes them. “What makes music ‘country’ is the honesty behind it, regardless of the production. I still believe Luke Bryan has done and seen everything he’s described in his songs, and we aim to do the same,” says Hasting. “There are times we’ve compromised ourselves and our music,” adds Beale. “But for us, this isn’t a ‘make it at any cost’ mindset… This is a ‘make it with integrity’ plan.” “We decided a while ago that we’d go home before we did something that wasn’t true to our Midwest country sound,” continues Hasting. “Moving forward, it’s important to us that we honor our sound and deliver to fans a story we can back up.” That is country music.